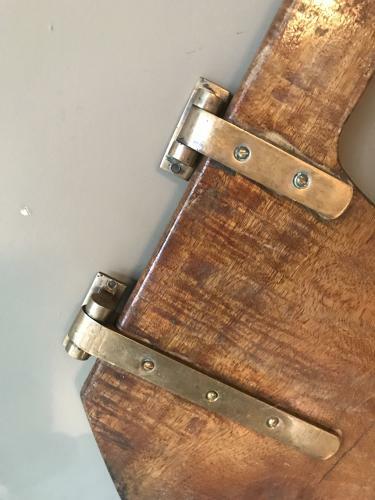 Very nice old Boat Rudder of small size so ideal on a wall of holiday cottage or similar. Very nice Brass fittings. Folds so Tiller can adjust.